60 year old Bettie is jilted by her lover and left alone to deal with the financial problems facing her family’s restaurant. She gets into her car for a drive around the block to get away from it all, but the journey turns out quite unexpectedly. The word that best describes Catherine Deneuve in Emmanuelle Bercot’s likable French road movie is unflappable. Her character, Bettie, who runs a failing bistro in Brittany, is a former regional beauty queen in her 60s who lives with her controlling mother, Annie (Claude Gensac). One day, Annie gives Bettie some bad news: Bettie’s longtime lover (unseen in the movie) has fallen for a 25-year-old. Bettie is suddenly without an anchor. She was married decades earlier to a man who choked to death on a chicken bone. The marriage produced a bitter, volatile daughter, Muriel (the singer Camille), from whom Bettie is estranged. To call Bettie unflappable doesn’t mean she is unfeeling. Even when her world is falling apart, she maintains a semblance of composure. Her first impulse after the loss of her lover is to resume her former smoking habit. Her search for cigarettes turns into a road trip that eventually leads to the French heartland. 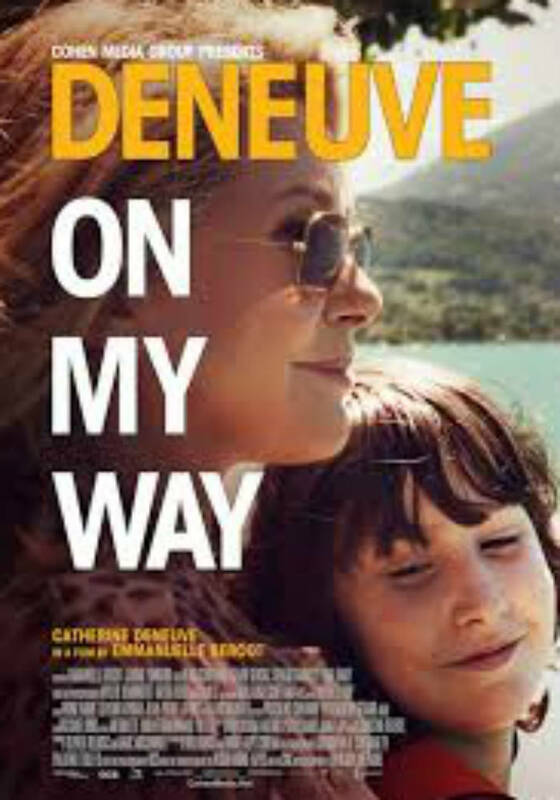 Because Ms Deneuve, 70, is in almost every scene, On My Way feels like Ms Bercot’s loving character study of a star who has always stood above the fray, a symbol of resilient Gallic femininity. It poses an implicit question: aside from Bettie’s working-class background, how different are the actress and her character? Although Bettie can be flustered, irritated and impatient, she soldiers through misfortune, impervious to insult and humiliation. Bettie has a series of adventures in rural France, including an overnight hookup with Marco (Paul Hamy), a young man she meets in a raucous bar called Le Ranch. His fascination with her doesn’t preclude his rudely remarking that she once must have been a great beauty. The notion of an aging beauty who has lived long enough to transcend any obsession with her appearance is a theme that runs through On My Way, though Ms Deneuve appears impeccably coifed and regal, except for a drunken moment at Le Ranch. Just when On My Way seems about to be stranded in the middle of nowhere, Bettie and Charly’s fraught relationship gives the movie an emotional centre and comedic drive. Mr Schiffman is an adorable scene stealer, and the two play off each other beautifully. Source: https://www.nytimes.com/2014/03/14/movies/catherine-deneuve-in-on-my-way-a-french-road-movie.html, 13/3/2014, edited extracts, accessed 18/3/2019.